Suits Products: SureColor F2160 - DTG, SureColor F7100 - 64", SureColor F7200 - 64", SureColor F9200 - 64", SureColor F9360 - 64", SureColor P10070 - 44", SureColor P20070 - 64", SureColor S30600 - 64", SureColor S40600 - 64", SureColor S50600 - 64", SureColor S60600 - 64", SureColor S70600 - 64", SureColor S80600 - 64"
Over time ink can build up in certain internal parts of SureColor printers including around capping stations, flushing stations and print heads. As part of the regular user maintenance operators need to remove the build up with these cleaning sticks designed to facilitate the process. Each pack includes 50 sticks. Note: These sticks are incorporated as part of the printer maintenance kits C12C890611 & C13T724200. 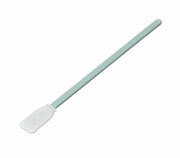 Sticks should not be used to clean the actual print head surface – please see C13S090012 for the head cleaning tool.